Avesta zoroastrian Archives. It also includes information about the Avestan language, and other useful information for students of zoroastrian religion. "Zoroastrianism is the oldest of the revealed world-religions, and it has probably had more influence on mankind, directly and indirectly, than any other single faith." - Mary Boyce, Zoroastrians: Their Religious Beliefs and Practices (London: Routledge and Kegan Paul, 1979, p. 1) "Zoroaster was thus the first to teach the doctrines of an individual judgment, Heaven and Hell, the future resurrection of the body, the general Last Judgment, and life everlasting for the reunited soul and body. These doctrines were to become familiar articles of faith to much of mankind, through borrowings by Judaism, Christianity and Islam; yet it is in Zoroastrianism itself that they have their fullest logical coherence.... - Mary Boyce, Op. Cit. p. 29. We provide the complete text of the extant Avesta , the most ancient scriptures of Zoroastrianism, as well as many Pahlavi scriptures. It also includes information about the Avestan language, and other useful information for students of Zoroastrian religion. Most of the texts in these archives are extremely rare. NOTE: Spelling of Zoroastrian technical terms has been normalized in these archives to facilitate searches. FASLI ('seasonal'): A religious calendar which is kept in harmony with the seasons by intercalculating one day every four years, patterned after the Gregorian calendar. Naw Ruz (New Year's Day) is fixed on March 21. SHAHANSHAHI (or Shenshai): The calendar of many Parsee Zoroastrians, including some of the more influential Dasturs (High Priests). It is based on a religious calendar which was theoretically synchronized with the seasons by intercalculating a month every 120 years, but the intercalculation was not consistently followed. Naw Ruz was observed on August 23, 1995. A recent proposal would reform the Shahanshahi calendar by bringing it back into harmony through the intercalculation of whole months. In this article Jafarey gives account of celebration of New Year âNovruzâ by people of Iranian and Zarathushti origin. This celebration of life on the first day of spring in the Northern Hemisphere is of immense historical significance. Modern education aims at the liberation of human mind, as opposed to indoctrination. To keep refreshing Zarathushtraâs vision, one must keep learning religiously. Outline of Parsi History Mehta, Kayomarsh P.
If you have any questions or comments in general, please feel free to send us a note. A list of Zoroastrian-related events in Northern California. Provides support and networking for those studying this ancient religion of Persia. Includes information on its history, classes, events calendar, related links, and contacts. Nonprofit organization dedicated to the preservation and perpetuation of the zoroastrian faith. Features an event schedule, newsletter, and zoroastrian links. Here is a letter from our President Parastu Dubash which covers ZAGBA's history, objectives, community activities, current events, and future plans. This is a schedule of upcoming ZAGBA events with dates, times and directions. Read the latest ZAGBA News Letter with information about the people, events and plans of the Boston Zoroastrian community. Learn about our sister organization, the Zoroastrian Association at MIT. Here are the directions to the MIT Religious Life Center where we hold our monthly community meetings. If you have any questions or need further information about ZAGBA feel free to contact. zoroastrians in India are called Parsis. At present time there are about 200/000 Zoroastrians throughout the world. 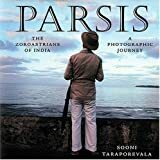 Most of the worlds Zoroastrians, who are about 100/000, are living in India and they are called Parsis. Due to the Arabs' invasion of Iran, which was cruel (_See Koran Sura 9 Al Tauba  Ayeh 5 and 29 and 123 ) , most Parsis left their own country, and emigrated to India in the ninth century. Even, at present time, if Iranians are asked about Zoroastrians identity, most of them will answer, those people are fire worshipers and like Jews and other pagans and Christians are unclean people ( See Koran Sura 9 Ayeh 28 ). In western countries also, the people are not quite familiar with Zoroastrian philosophy. When they are heard of Zarathustra, they are reminded of Thus Spoke Zarathustra, written by celebrated German philosopher, Nietzsche. Therefore, it can be rightly said that Zoroastrian philosophy, which was the main religious belief system of ancient Iranians and for about several hundred years was the basis of the Iranian culture and their life style, now is almost forgotten. Therefore, our purpose is to fathom this aged Zoroastrian culture, in order to recognize the truth of such a rich philosophical faith, which has been the foundation of the ancient Iranian civilization, and thus try to repudiate the incorrect pre-judgements against it. Is Zoroastrian Monotheism Philosophy or Religion in History? History, upcoming events, membership information, description of the faith, shop, links and mailing list. In this korner, you can learn the basic Zoroastrian beliefs or get to know some famous Zoroastrians. You can also read stories, play games, make crafts, or say some simple prayers. We are pleased that the American Library Association has chosen Zoroastrian Kids Korner as one of the best sites for kids. Thank you ALA! Rebecca Cann You can use the material in this site for non-commercial purposes as long as you give credit to the author and illustrators and make a link to this site. Online version of zoroastrian scriptures (the complete text of the extant Avesta and some Pahlavi scriptures) with supporting linguistic and religious information. Links to member organizations, committees, and their journal. Article by Dr. Pallan R. Ichaporia. This volume was rescanned at sacred-texts. 18. Zoroastrian Association Of Western Australia Inc.
A fully ordained zoroastrian priest based in the Greater Toronto Area and performing religious services around the world. THIS IS A VOLUNTARY SERVICE PROVIDED BY A FULLY ORDAINED ZOROASTRIAN PRIEST. If you would like to perform any kind of Zoroastrian religious services for your loved ones, Ervad Kerman Katrak would gladly take care of all of them. To provide Zoroastrian Religious Services to everyone around the world. There have been FastCounter by LinkExchange people who have visited this site. Events. News. New Premises. Information. YZ. Library. Contacts.